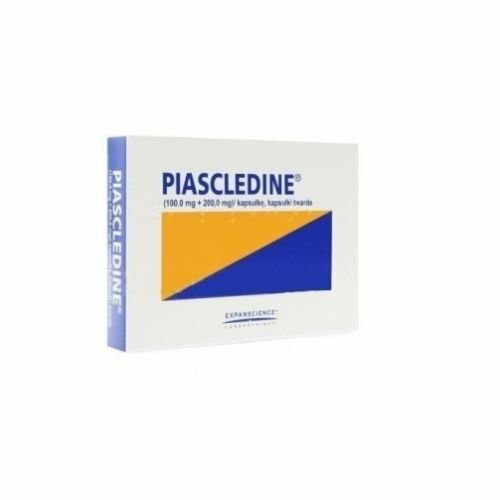 Piascledine 300mg 90 Capsules Description: The drug relieves the symptoms of degenerative articular cartilage damage, including pain and consequently improves the patient's locomotive. Indications: Piascledine 300 used to treat the symptoms of osteoarthritis and its associated pain. Directions for use: 1 capsule per day. The product from Polish magazines. If you have any questions about this product by HealthtoHealth, contact us by completing and submitting the form below. If you are looking for a specif part number, please include it with your message.